In her current digital practice, [http://www.claudiahart.com|Claudia Hart] uses advanced simulations technologies to create virtual representations integrated into photography, multi-channel animation installations, performances and sculptures using technological production techniques such as 3D animation, Rapid Prototyping, CNC routing and augmented-reality custom apps. Her project is to feminize the masculinist culture of technology by interjecting emotional subjectivity into what is typically the overly-determined Cartesian world of digital design. 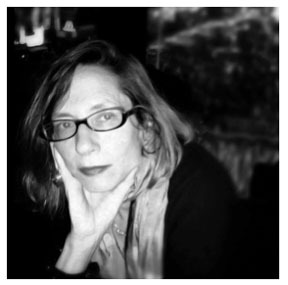 Hart is Associate Professor in the department of Film, Video, New Media and Animation at the School of the Art Institute of Chicago and is represented by bitforms gallery, NY. She is currently an Honorary Fellow at Eyebeam Center for Art and Technology, where she will premiere The Alice’s Walking, created in collaboration of the composer Ed Campion, in March 2014 during the Armory fair. Claudia Hart has been active as an artist, curator and critic since 1988. In the early nineties, before Claudia Hart developed a digital practice, she met Edmund Campion in Paris when both were fellows at the American Center. At that time, Hart felt that her artistic practice addressed an essential Humanist theme - Nature vs. Culture - grounded in the literary trope of the Grotesque. Inspired by the writings of the literary critic Geoffrey Galt Harpham, Hart shared his important “On the Grotesque” with Campion, and they engaged in a dialog about his ideas during those formative years. Twenty years later, Hart and Campion re-met in New York to find an eerie relatedness in their distinct practices, his grounded in music composition and hers in post-media contemporary art. In response they began a collaborative practice that is as much about the nature of artistic influence and the tides of art and cultural history as it is about the process of creation. Both Hart and Campion will address these issues in a discussion about their collaboration.